This is the beginning of the sacramental life of an individual within, or entrance into, the Church. When a person is baptized, they are cleansed of original sin and receive sanctifying grace, the life of God within their soul. That grace prepares them for the reception of the other sacraments. They are welcomed into the community of the Church, being made a child of God. And it is the community of the faithful where the newly baptized person will encounter God and what God will ask of them. Once baptized, an individual is then ready to receive the additional two Sacraments of Initiation, Confirmation and Holy Eucharist. be actively participating and living their faith for at least six months; attending Mass regularly – daily or weekly to ensure that they truly intend to raise this child in the practice of the faith. 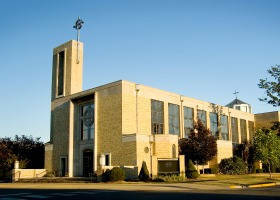 attend and participate in one Pre-Jordan class offered each month in the parish. This is a necessary preparation before a child may be baptized at St. Paul. Attendance is required for each child to be baptized. If parents have not yet completed the three Sacraments of Initiation (Baptism, Confirmation, Holy Eucharist), or if their marriage has not been blessed in the Catholic Church, Father may contact you to resolve these important faith issues. 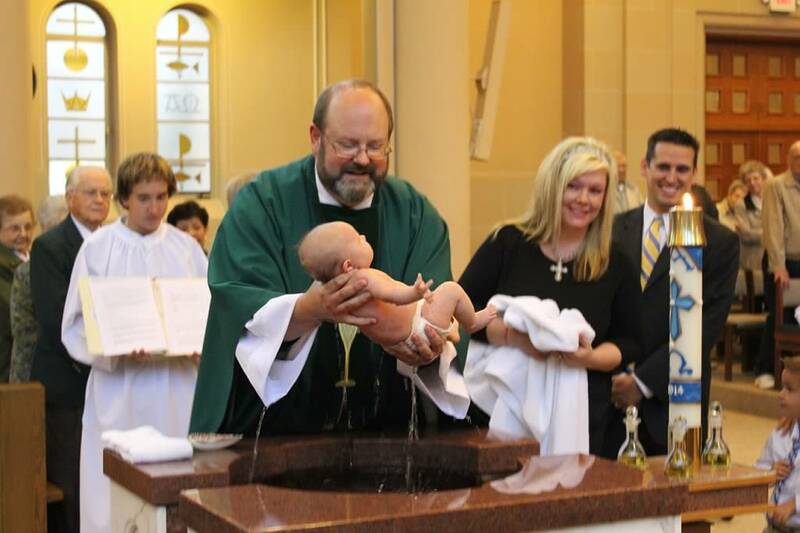 Baptisms are celebrated during Mass, usually the first two (2) full weekends of the month. A Pre-Jordan class is typically held the first Thursday of each month and is REQUIRED for all parents. We ask that both parents attend this class together. 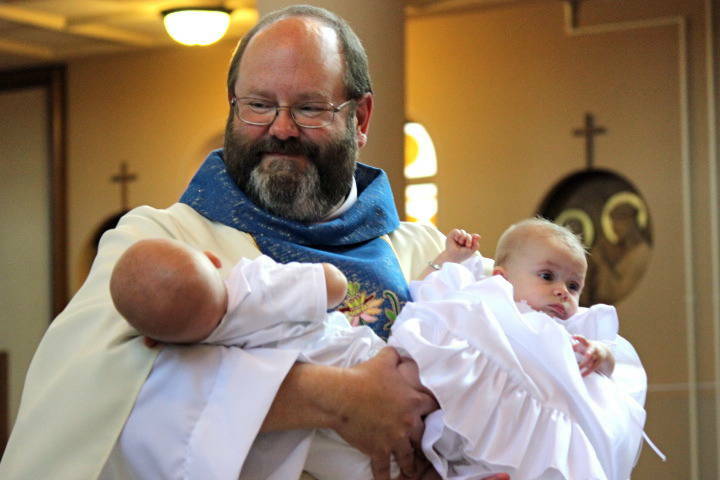 Godparents are also encouraged and welcome to come. For more information, please call Deanna Harlan, Coordinator of Adult Education and Sacramental Preparation at 654-2339, ext. 217.